...then you’re in the right place to ask your question! Looking at the migration stats for the past 90 days, it appears that although Gaming is on the default list, very few migrations go there - only 4 in the past three months. 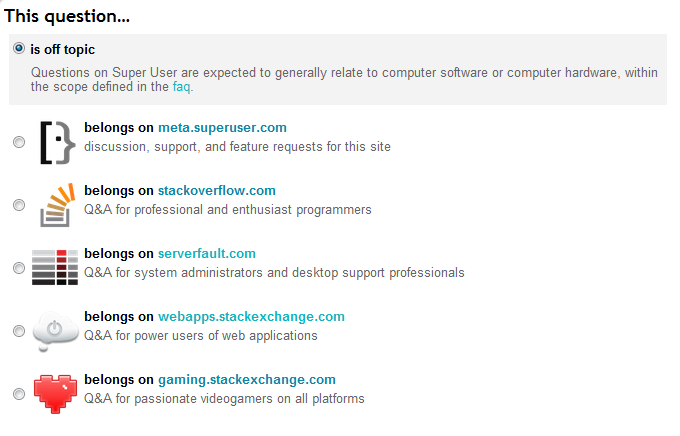 The rest of the options are indeed the top 3 migration sites, not counting meta, which is a required option. 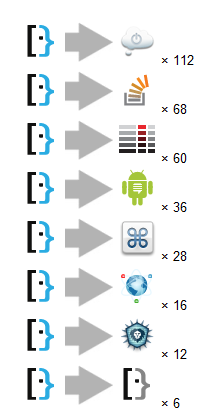 As we can see, Android is the next-highest migration target. I therefore propose that Android be added to the list of migration options, to replace Gaming. There is very little overlap between what is on-topic for Super User and what's on-topic for Android, so erroneous migrations should not be a problem (as they would be if Apple, Ubuntu, or U&L were added to the list). Please vote below on whether this should be done. Anybody disagreeing can also leave their own answer. Please note, I will view the vote split and only count positive votes, so downvoting the option you dislike won't make any difference. Not the answer you're looking for? 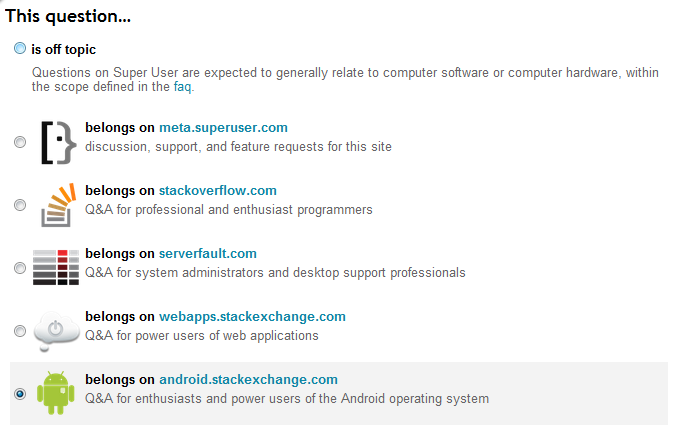 Browse other questions tagged feature-request status-completed closed-questions migration .